Art shrines of ancient India deals with the art treasures of selected archeological sites in the various states of India. The sites dealt with are sarnath Sanchi Kanchipuram, Mamallapuram Temples of Chamba Aihole, Badami, Pattadakkal, Elephanta, Ellora, Ajanta, Nalanda, Konarak, Halebrid, Belur, Khajuraho, Suchindram, Mandu, Madurai, Chittor and mount abu. 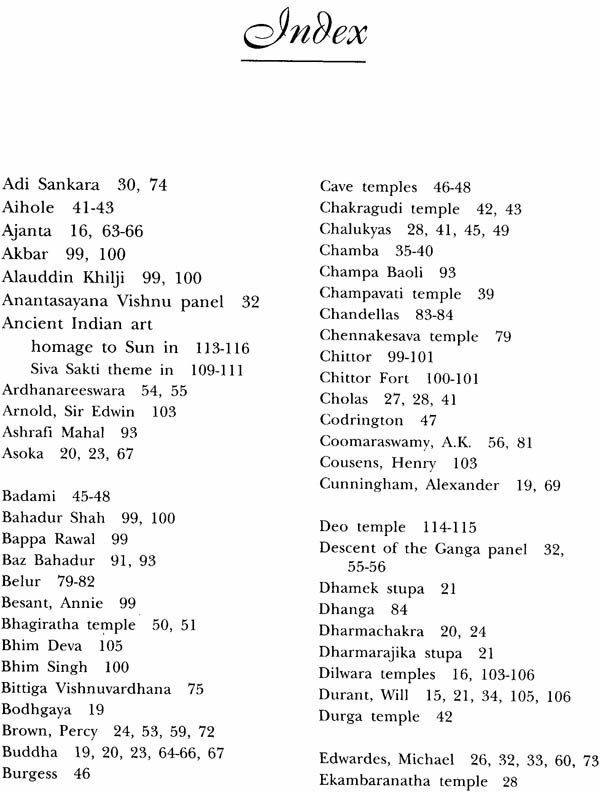 Profusely illustrated the book peeps into the historical and mythological past of each site and evaluates the artistic contributions of the various ruling Dynasties the Mauryas the sungas the guptas, the Pallavas, the Chalukyas, the Rashtrakutas, the Palas, the Senas, the gangas, the cholas, the Hoysals, the chandellas, the pandyas, and the nayaks. 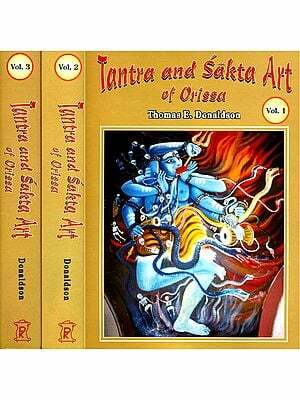 The book also deals with the siva sakti theme and homage to the sun in the art of ancient India and indicates how these are depicted in the various temples of India. 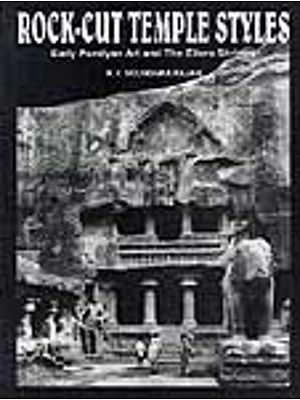 This book will be an invaluable guide to all tourists especially foreigners and non resident Indian who want to savor in a short time the rich artistic heritage displayed in the famous temples and archeological sites in India. Vadakaymadom Krishnaiyer Subramanian (b. 1930 Kerala India) is an eminent scholar whose life mission is to present to the world the treasures of ancient Indian in the fields of art literature philosophy and religion. A retired officer of the Indian audit and accounts service (which he joined in 1953) Subramanian is also a reputed artist who has held 22 one man shows and whose paintings (some of them in the Chandigarh Museum) have won wide acclaim from leading art critics of India and are hung in many collections public and private in India and abroad. Subramanian’s prolific literary output covers a variety of subjects ranging from astrology to art. His best selling books include Saundaryalahari sacred songs of India maxims of chanakya and the holistic way to health happiness and harmony. Subramanian who ahs traveled extensively in India now lives in the United states of America. This book is by and large a compendium of articles written by me for the Bhavan’s Journal. Between 1976 and 1980 I happened to be the director I.A.A.S staff college Simla in India and one of the pleasant duties I had to perform was to take my trainee officers every year on a two week tour of India. This was called Bharat Darshan or seeing India especially places of important historical artistic and archaeological significance. During a five year period I had the opportunity to visit along with my officers the places covered in this book. Though most of the major art Shrines could be covered I must admit that there are important places which I could not visit and hence could not deal with in this book on art shrines of India. 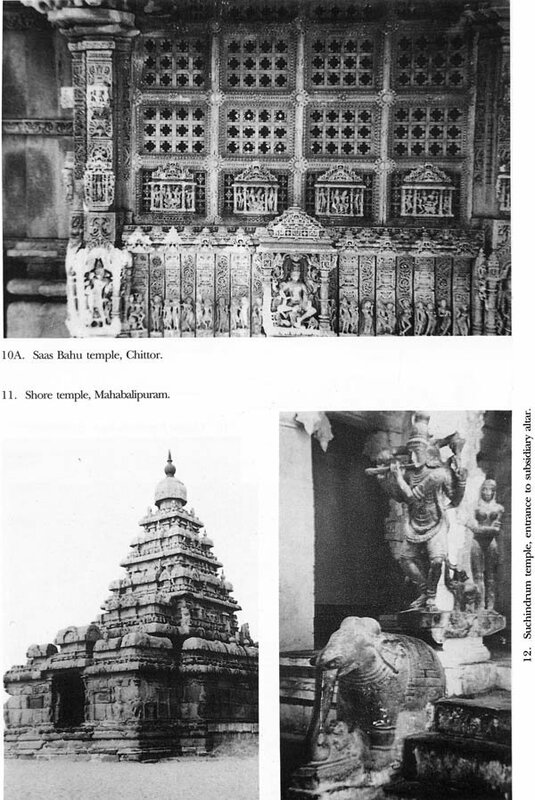 Hence at best what I offer is only a sampling of India’s glorious artistic heritage and I apologize for the incompleteness and the glaring omissions of places of major artistic significance. But I consider myself lucky in having been able to travel and see and admire ancient India’s artistic heritage a privilege very few would get. 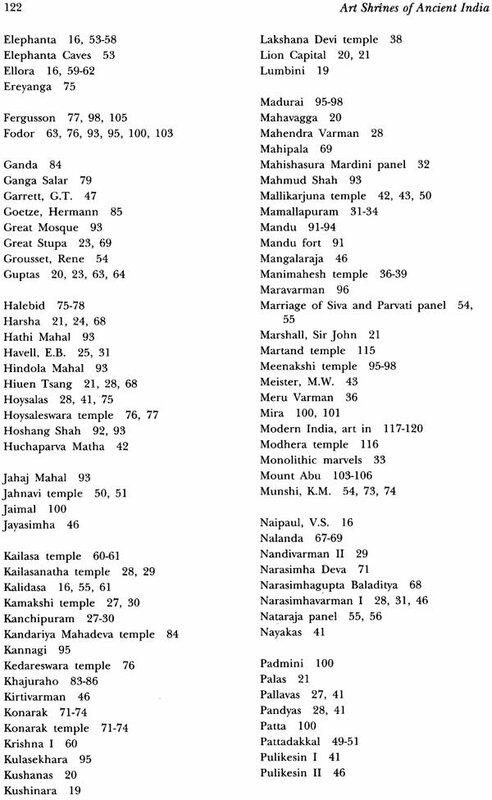 So I offer my readers my incomplete sampling of India’s ancient art shrines which are still available for a visit and aesthetic appreciation. Unity variety and continuity mark Indian art through the ages. 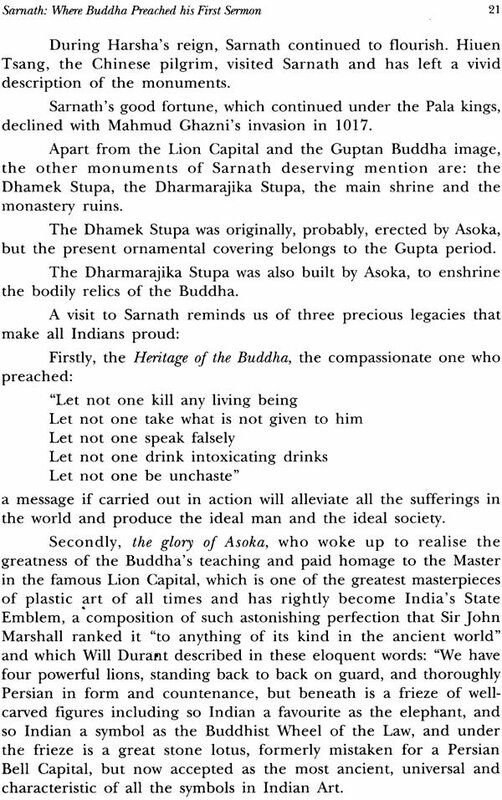 From 3000 years before Christ to the twentieth century. Indian creative genius has sought and found expression in virtually imperishable stone and metal as also in perishable wood and clay. Despite the ravages of time and the vandalism of invaders and iconoclasts the mementos of India creative expression have survived obscurity and oblivion. We are grateful to a large number of devoted Englishmen like Cunningham, Fergusson, Hegel and garret for Discovering our heritage in ruins and to leading historians and art critics of the west like Zimmer and Durant, Willets and Goetze for enabling us to understand the greatness of our ancient art and the invaluable contribution it has made to human civilization. But however earnest and erudite may be the efforts of foreigners to understand the meaning and method of India artistic heritage only Indians can understand the soul and spirit behind it. To quote the famous American writer Mark Twain A Foreigner can photograph the exteriors of a nation but I think that is as far as he can get. Not foreigner can report its interior its soul its life its speech its thought. Emboldened by mark Twain Dictum let us try to unravel the mysteries of the artistic legacy bequeathed to us by our ancestors during the 5000 years of our colorful and chequered history. The first questions which naturally arise are: what are the great periods of Indians art? And where are the main places of pilgrimage where one can have a glimpse of the great achievements of Indian artist’s architects sculptors and craftsmen? What has been given is only on illustrative list of the most important places which a tourist short of time would need to visit to acquaint himself with the marvels of Indian achievement in the fields of architecture sculpture and painting. The table at page 18 summaries the various periods of Indian art indicating the approximate dates and linking them with important tourist places where the artistic creations can be seen. 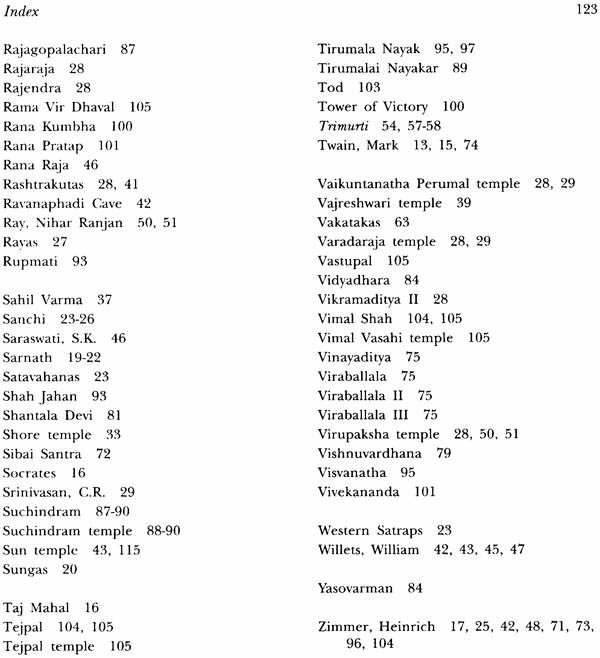 Sculptures and architecture map on page 12 gives an idea of the locations of the important monuments. The Encyclopedia Britannica refers to Indian art as theological or traditional since like the art of the middle ages in Europe it was dedicated to revealing the divine nature of the gods and The Encyclopedia Britannica refers to Indian art as theological or traditional since like the art of the middle ages in Europe it was dedicated to revealing the divine nature of the gods and enhancing the dignity of the church it adds its didactic purpose was to instruct men in the truths of religion. 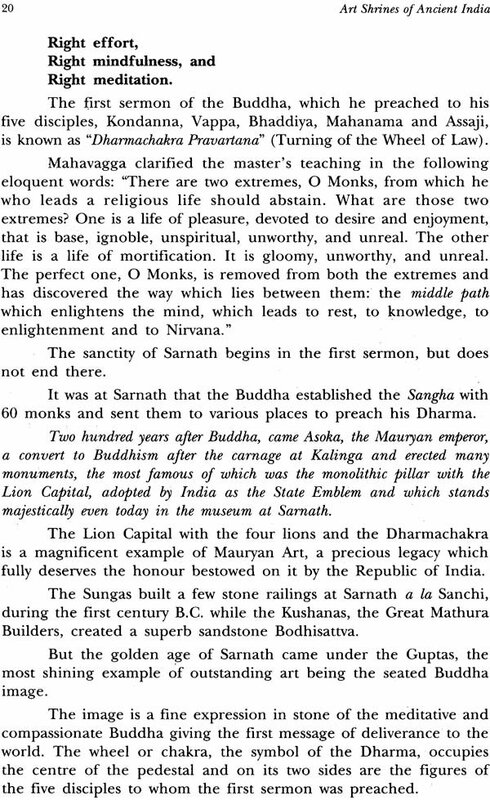 The late will Durant wrote in his story of civilization volume one the oriental heritage the sculpture in India never quite acquired the grace of her literature or the sublimity of her architecture or the depth of her philosophy it mirrored chiefly the confused and uncertain insight of her religions. 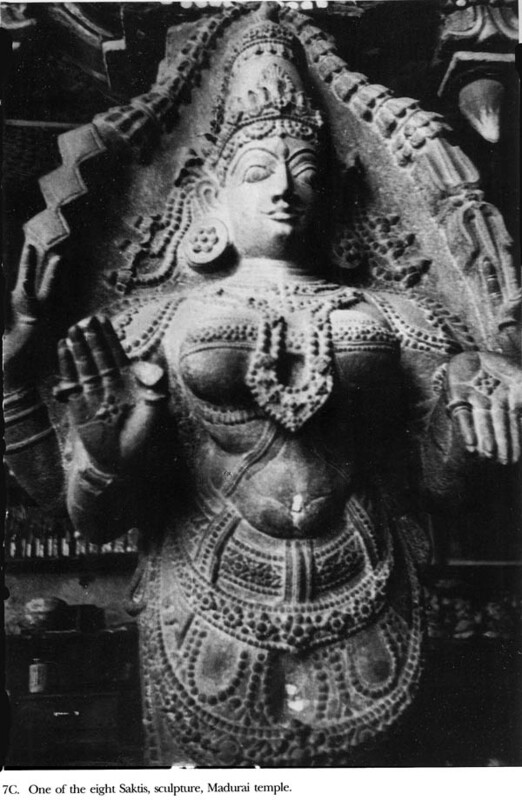 While on the one hand Indian art has been criticized as Hieratic art devoted to the exposition of the personalities and acts of deities and providing for their service that is has not been produced for aesthetic experience that its themes are dogmatic and mythological forms unparalleled in nature several other have found objection to the earthy eroticism in Indian sculpture pointing our that such expression arose out of depraved cults and practices. 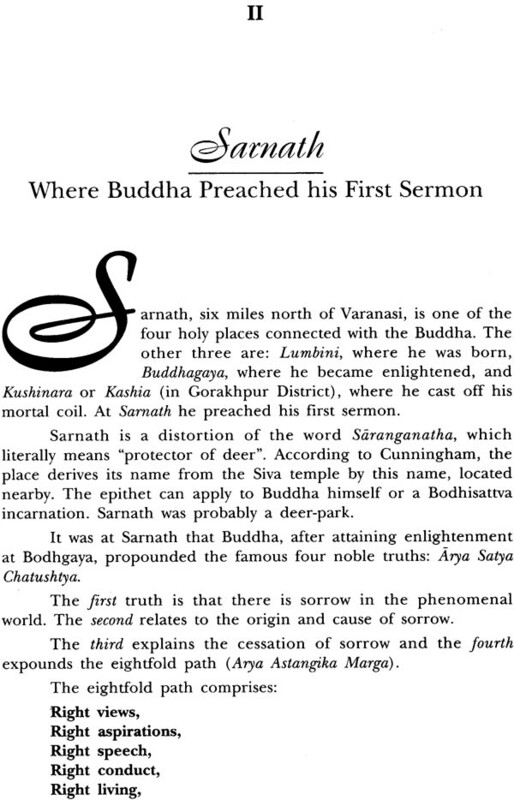 When one reads and ponders over such ill informed and superficial understanding of Indian art one has to pay tribute to the wisdom of mark Twain and set the record straight. In India religion is not something divorced from life Synthesisi of the spiritual and the sensual is a cardinal cornerstone of the Indian approach to art. The creative genius of India has found its untrammeled outpouring in stone and metal and attained the zenith of excellence in diverse periods of history during the reigns of rulers vastly differing in their customs and religious beliefs. The Jain temples in Dilwara in mount Abu the immortal Taj Mahal and the monuments in Fatehpur Sikri the Buddhist paintings of Ajanta and the sculptural marvels of Elephanta and Ellora the majestic marvels of the chola period are all expressions of the same creative genius which is universal in character and represents art in its most genuine form. The great Kalidasa said one who is not a Rishi cannot create art. The Socrates said 2000 years ago. Creativity has its origin in the divine element in man. 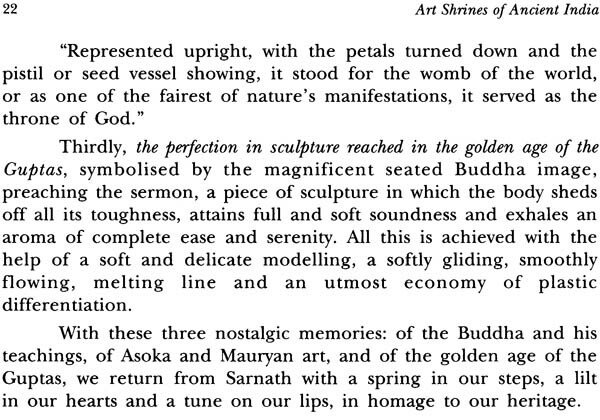 It is true that in India all art is god oriented and god is seen an eulogized in every facet of manifest creation. That is why the Indian sculptor pays glorious tributes with his chisel and hammer to the human form both male and female and idealizing it also reveals its links with the creator and all other occasions. The unity of life is a recurring theme in Indian art. 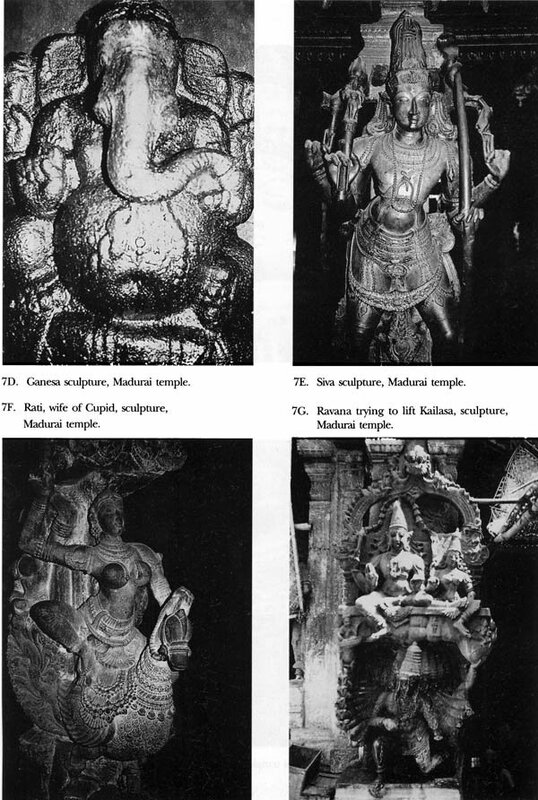 Let is also be mentioned for the benefit of western critics that the Indian sculptors could not have created their masterpieces unless they had drawn their models from real life around them. They might have resorted to abstraction and idealization but lie all artists anywhere in the world their artistic creation is the result of first hand experience. 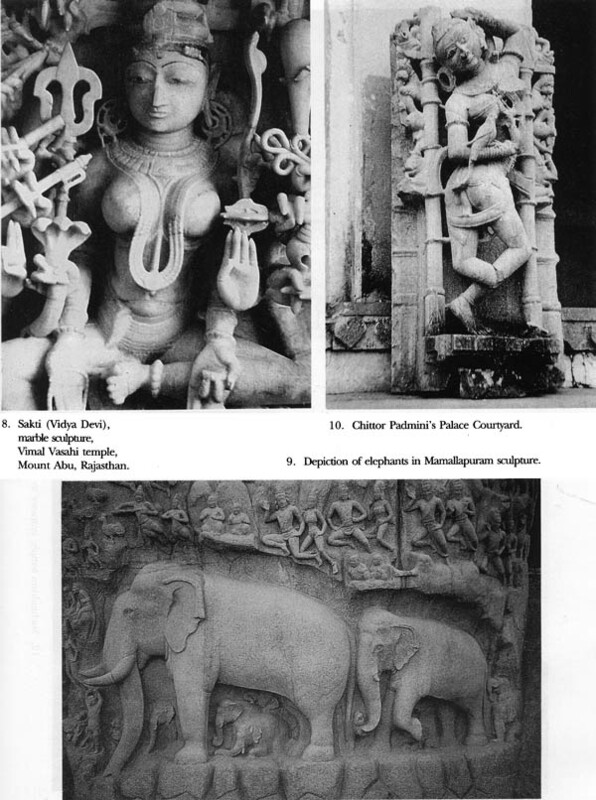 The rich Indian mythology which is replete with stories of faith and devotion aided the Indian sculptors in bringing out masterpieces depiction immortal legends like the slaying of the demon mahisha the rescue of the earth by varaha the churning of the ocean and the descent of the Ganga. Yes Indian art is rooted in tradition creativity is linked to cultural integrity which arises out of traditional moorings. Any nation which ignores its tradition and cultural integrity cannot produce lasting art. India art which has survived invasion and vandalism is a tribute to the vitality of Indian civilization which continues vibrant and alive while many of its sister civilizations have perished away. V.S. Napaul, the noted author has referred to India as a wounded civilization yes wounded no doubt by incoherent appreciation inadequate understanding and unkind criticism. But the wounds will heal. The sheen will return to the encrusted soul if Indians realize the value of their heritage and its usefulness to the world.